What's in the text forecast? 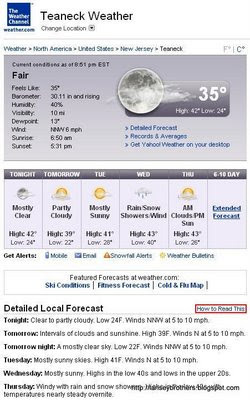 Again, if "Clear to partly cloudy" is difficult to understand, I doubt this additional information will help. 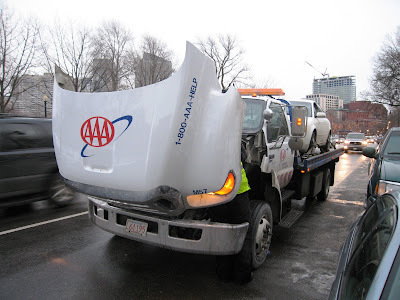 In Boston, Triple A having engine trouble . 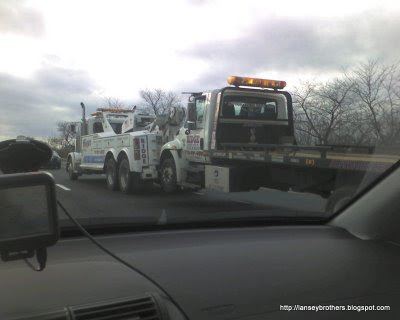 . .
you should have seen the truck they sent next! Leaving windshield wipers sticking straight up? So recently I've noticed a bunch of silly Bostonians raising their windshield wipers before a snowstorm. It looks pretty silly. 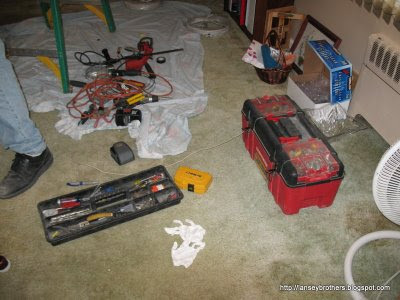 Another blogger has written a good and extensive post about this, take a look here. Most of the comments are great too. But some missed the whole point of his article. The main point is - do not leave your windshield wipers sticking straight up. You will wear out the springs and getting the blades stuck to the windshield is not really a big deal. Damaging the blades also isn't a big deal, you can replace them, but the blade springs are much harder to replace. Well, up until today, we were sitting in the dark. 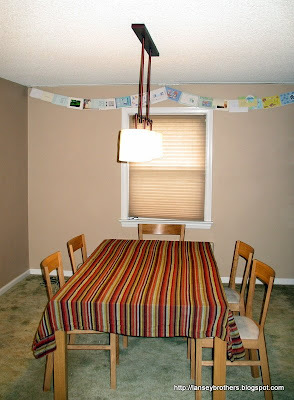 Our dining room had no lighting fixtures, and the only light we had was whatever came from our living room. But today we had an electrician install our new chandelier. "There is Police activity in the area of 705 Commonwealth Ave. Please stay clear of the await further update." It turns out that a student reported seeing another student with a bullet and ammunition clip. To make a long story short - Boston is great. Read the BU news article here. 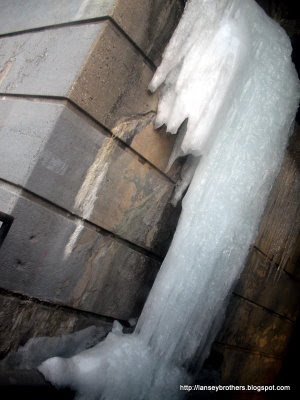 There's a fantastic gigantic icicle under an overpass on Route 4 in Teaneck. It's hard to tell from this picture I snapped from a bus, but it goes from just under the road, all the way to the ground on Route 4. Note that about a week after this odd cloud appeared - it did in fact snow a significant amount here . . . maybe thats how it works.